Particle Candy is a striking, top-notch extension that impressively shows what you can do with Corona®. For serious game developers, it's absolutely essential. Create stunning visual effects using our professional, full featured particle engine for the Corona and Gideros SDK. Lightning fast, professional GUI extension to add all kind of graphical user interfaces to your apps and games. BUNDLE OFFER: BUY ONE, GET THE OTHERS HALF OFF! Particle Candy is an extremely flexible yet simple and straightforward to use particle engine library to create all imaginable stuff of special effects in your games like smoke, trails, fire, explosions, debris, flares, dust, clouds, shots, light rays, water fontains, even weather effects like rain, snow -everything you can imagine. It's a single .lua file that you just include to your project and you're immediately ready to create professional special effects. The Particle Candy engine proved its power and flexibility since 1995 in many commercial game titles. Originally developed for Blitz3D, it became one of the most popular Blitz libraries during the last years and is now available for the Corona® and Gideros® iOS / Android SDK. Particle Candy has been written thoroughly to make the most efficient use of performance and memory management on today's mobile devices. In his well-written and detailed Particle Candy review, Jayant from oz-apps.com gives a great and understandable introduction to Particle Candy and the concept of particles in general. This article is a great starting point if you're new to Particle Candy or never used particles in your games so far. 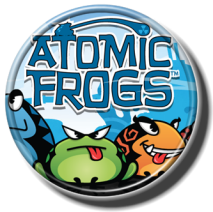 Particle Candy is used with many professional games, such as the very popular Lost City, the addictive Atomic Frogs and many, many others. 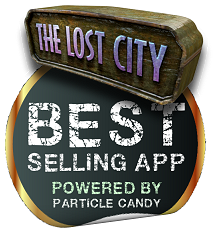 Check out the Particle Candy Showcase section to see what you'll be able to achieve with little effort! If you are a Kwik user and want to keep things simple and straightforward, Particle Candy might be your choice since both tools work together nicely. Check out Diane Cipollo's Review on Particle Candy and Kwik and the easy-to-follow Particle Candy with Kwik Tutorial by Alex from kwiksher.com. As a fundamental and vital tool in the world of app programming, the Candy libraries are prominently featured in Jayant Varma's great book Learn Lua for iOS Game Development. Learn Lua for iOS Game Development walks you through the Lua basics, then shows you how to create games using the top Lua frameworks like the Corona SDK and last, but not least, how to use the Candy libraries to create professional, top-level apps and games. Available for Corona® and Gideros® iOS / Android SDK. Comes with many clean, easy-to-follow sample codes! Many premade and professional effects already included! Clean, commented LUA code that can be extended by your own! All particle properties can be changed in realtime!